« Meet Barry! Meet MIRKA!!! 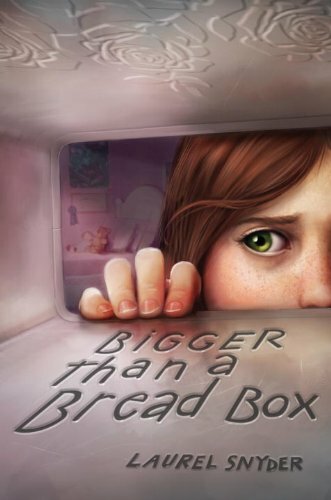 Bigger than a Bread Box won’t be out for like, EVER (September 27), but I’ve set up a little giveaway for the book, at Goodreads, in case you’re impatient too! Please, go ahead and enter to win a signed copy of the book! Or maybe, if you don’t like winning things, you’ll just add it to your Goodreads to-read list? This entry was posted on Monday, February 14th, 2011 at 8:58 am	and is filed under Blog. You can follow any responses to this entry through the RSS 2.0 feed. You can leave a response, or trackback from your own site. Laurel remembers something I’ve said! And mom weighs in with an outrageous ellipsis. Aren’t you an English teacher, woman?